I combine lots when possible. ALL START AT 0.99P. ​IF TOTAL OVER £40.00 THIS WILL BE AT SIGNED FOR RATE. CONDITIONS :- SEE PHOTOS FOR ACCURATE LOOK AT WHAT YOU WILL RECEIVE. 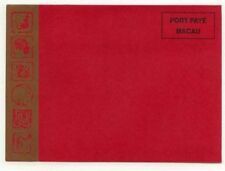 New ListingMACAU PORTUGUESE LOT OF 3 SURCHARGED REVENUE STAMPS UPTO 50r - MINT - SEE! Unused, FG, HM; Firecracker Flower. Unused, FG, HM; Dragon Claw. Sep 22, 1953. Scott #: 682a. Country: Macau or Macao. 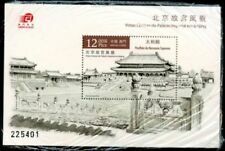 The single stamp contained in the sheet is on a white background with a large image of a dragon on it. The sheet is also numbered. This lot consists of 1 Souvenir Sheet, details as follows. 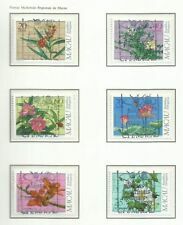 Macao, Sc #511a, strip of 4, MNH, 1985, Silk Paintings. (See picture, may have scanner light effects, shadow, glare). Set is NH FRESH BRIGHT COLOR AND PAPER, FULL SET OF 10 INCLUDED Scott #372-381 SG #458 - 467. HIGH VALUE has selvage attached with the Portuguese word for "Switzerland", a rather unusual item, and likely only one per sheet, with hardly any saved. 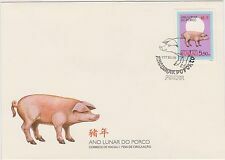 Up for sale is a stamp sheetlet of Chinese Lunar New Year of The Rat issued in Macau / Macao in 1996. It is mint never hinged (MNH). It is in excellent condition. Macao #270,288, 301 & 302 Used/Good. 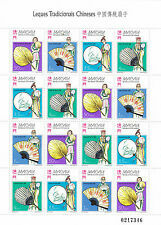 China, Macau, Macao (Scott 440 & 442), Very Tough to Find, Take a Look!!!! These are very tough issues to find. Macao was a Portuguese oversea colony at the mouth of the Pearl River estuary off the Chinese coast until 1999. Macau #1010 Mint Never Hinged- (Y4) I Combine Shipping! The sheet also has OLYMPHILEX '92 printed on it & is numbered. The number on the sheet you receive will be different than the sheet in the photo. It will make a lovely addition to your stamp collection. Macao/Macau/Portuguese Republic Souvenir Sheet SC# 604/S38. Airplane Over the Harbor. Mint, never hinged - fresh. Our file scans give a strong representation of what you will receive. MACAU 14 MINT HINGED OG * NO FAULTS EXTRA FINE ! Macao Scott# 718. Mint NH.